There are some differences between all 2 types of hair. The differences are more apparent in the hair's reaction to water, heat or air drying. You will definitely notice the difference after a couple weeks of wear. All virgin hair types have natural movement and should have minimal shedding and tangling. Each texture can be processed in wavy, straight or curly. With virgin Hair you will notice colors are not even through out the bulk. You will find a few strands maybe lighter or darker than the rest of the weft. This is normal and typical of hair from a sunny country where hair lightens with exposure to the sun. Brazilian Hair - It comes from the pacific of Brazil and its derived in different lengths and natural colors. Brazilian hair is one of the most beautiful types of hair around. It is known for its full body, beautiful bounce, texture and versatility. This hair has a shiny appearance and feel. It is available in wavy, straight or curly textures. The Straight textures are not bone straight but tends to have some light waves in it. This hair holds curls very well and tends to hold curls longer than the Indian Hair. This type of hair is usually soft and smooth. Texture may vary from natural straight to natural full bouncy Loose Wave Hair. The use of this type of hair is popular in most west-african countries. This type of hair last for as long as you take good care of it. It doesn’t require special maintenance. Brazilian hair is good for all hairstyles. It holds curls beautifully and curls when wet. Malaysian Hair - Malaysian hair at first can appear excessively shiny but after the first 2/3 washes the shine lessens considerably to take on a more natural appearance. Curls will not loosen or drop with time but maintain their form for the entire day. No product is required to maintain the curl. Avoid using too oil spray on this hair as it will make the hair very shiny and appear 'wiggy'. Malaysian hair is softer and silker in texture than Indian hair. 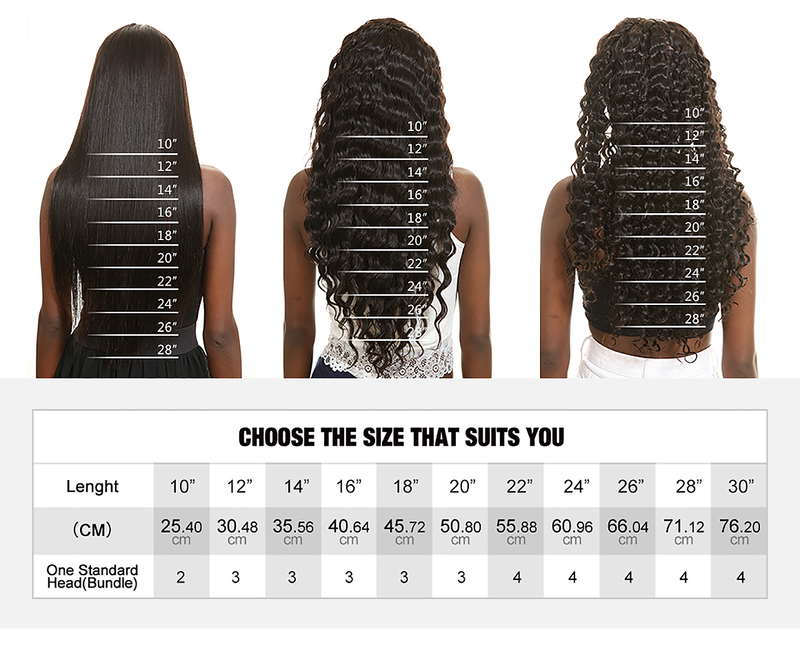 If you want volume and thickness, Malaysian hair is your best option. It gives great bounce and heavy body. It is great for all styles. Malaysian hair comes naturally dark in color and natural straight. Due to its fullness, it can have a tendency to be dry if proper care isn’t taken.